“Someone may be good to you, but are they good for you?” Momma D.I.V.A. My son teaches me so much about life and love. Just the other night as I watched him sleep I thought about how much he has changed my life. I’m more compassionate and braver. For the love of my son, I also learned how to cook. These are just some of the ways I have changed over these past five years. 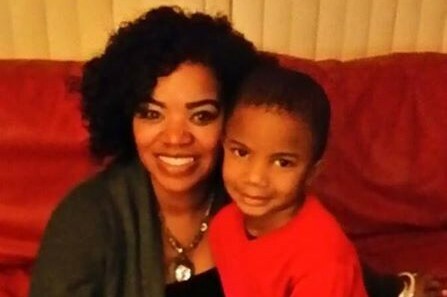 As I thought of how much I have grown as a person, I pondered why my son changed my life. Initially I thought my son “completed” me, but that didn’t sit well with me. No, he has done more for my life. His love increased me. Loving my son helped me to become a better version of myself. Each day I find myself growing stronger in some area of my life. This thought of my son increasing me made me think of how most people approach relationships. Many people search for someone to “complete” them. This sounds good, but is it a good idea? In love and life alike, we all want to grow. If someone completes you, where is there room for growth? Have you ever heard a couple who is ready to call it quits say: “we’ve grown apart?” If you aren’t growing together, you will grow apart. Now if you have someone who increases you they add value to your life. You are constantly growing and becoming a better person. Based upon my experience, I will add a word of caution. Remember my mother’s words: “Someone may be good to you, but not good for you.” Don’t confuse the nice things people do for you as adding value. I used to be in a relationship where my partner did everything for me, but it stifled me. When looking for love or being in a relationship, seek to increase your mate. Always look for ways to grow individually and as a unit. You should use this approach in all of your relationships. Add value everywhere you go.